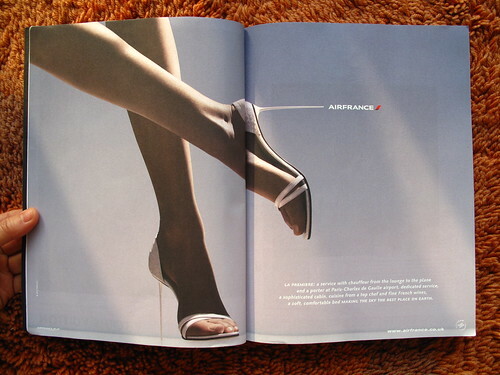 Can someone enlighten me on the concept behind this Air France print ad ? I assure you the copy doesn’t give a clue either. Air France – we’re the kind of company that was fooled by their marketing team in thinking that this minimalist non-sequitur advert is a winner. Ho ho, I think I’ll probably go for the last one. Amy – Thanks ! But see, even the parasol one is better !